You’ve been asking about the next series of Edurank Awards, and we can now reveal that the awards are set to return for a third consecutive year. For the first time, students will act as judges for our nominated awards, after all, they are the people who matter. The Edurank Awards give education marketers and social media maestros the recognition they deserve. Past winners have been able to show off this achievement to their leadership teams, to justify larger budgets and greater support. We will be sending out 28 coveted awards in February next year. These will go to institutions who have excelled on social media in a variety of ways. The award winners will either be based on our empirical data or by our panel of student judges. Students to judge the awards? Yes. A panel of students will vote for the winners in our nominated categories this year. This is the first time students will play a part in judging social media content which is aimed at them; giving education marketers a real insight into what works. The student judges will be taken from the Student Hut Panel – a community of engaged students actively signed up to take part in market research. So ask yourself this, are your campaigns resonating with the student audience? Submit an entry and you’ll find out. 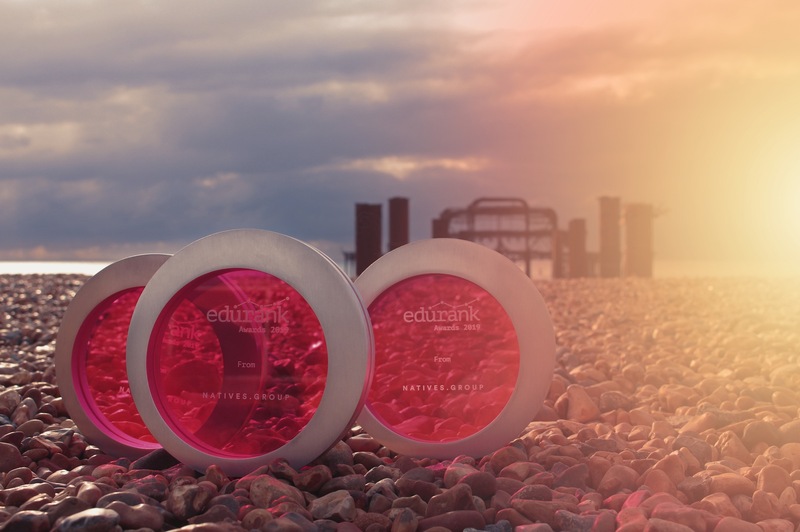 As well as our judged categories we will still be sending out 22 awards to those institutions who have excelled on Edurank throughout the year, including the prestigious Edurank’s Social Media Performance Of The Year. It was only a matter of time before we let the competitive US rank get a slice of the Edurank Awards action. Who will be the first US college or university to take the Best Social Media Performance crown? It was brilliant last year to see so many winners, and shortlisted institutions, share their excitement on Twitter. This year we will be offering a three-monthEdurank Enterprise trial for the institution who tweets the best snap from the Edurank Awards. This could be from a winner, an institution whose awarded a Highly Commended certificate or made the shortlist, or even someone who is just enjoying the buzz. We want to see your top snap using the #EdurankAwards hashtag. Get creative, folks! Please get in touch with the team at Edurank if you have any questions. We will announce when nominations are open very soon.